Rewi came from St Clair School in 1937, and remained until 1940, doing well in the commerce classes. A big solid boy, he was welcome in the 1st XV. From school he joined the Lands and Survey Department at Gore, and was in the Territorials in the 2nd NZ Scottish Regiment. Rewi was in the 9th reinforcements which left NZ in May 1943. He was killed in action in Italy, on 16th December 1943, at Orsogna. He was 21, and is buried in the Sangro River Cemetery. Max was in “Train Boy” in 1939, coming in from Mosgiel District High School in his 5th Form year to sit School Certificate, He was always smiling . He helped his widowed mother on the family farm in Bush Road, Mosgiel. The family had suffered badly in WWI—two uncles were killed and two more died as its result. Max left with the 10th reinforcement later in 1943. He died of wounds on 7th January 1944, wounds received at Orsogna. He too is buried in the Sangro River Cemetery. Max was 21. Andrew came to King’s in 1936 from OBHS. He was in the 5th form but stayed only a few months. In February 1941 he left NZ with the 4th reinforcements, but he took ill and was sent back from Columbo and discharged. As soon as possible he re-enlisted and joined the 24th Battalion. He was wounded, but he rejoined his battalion in time for the Battle of Cassino. He was killed there, on 13th May 1944. Andrew was our oldest old boy to be killed. He was 24 and lies in the Cassino War Cemetery. Flight Sergeant David Clark was a pilot in 486 NZ Squadron flying Typhoons. Dave lived nearby in Richardson Street, and opted for King’s when it opened in 1936 after 2 years a OBHS. His school record here was outstanding: school athletics champion in 1936 and in the 1st Rugby XV in 1936, 37, 38. He was in the 1st cricket Xl in 1936 and 1937. A prefect in 1937 and 1938. The new Typhoons were having serious “teething troubles”— engine failures and the whole tail breaking off under stress. rhis one was excessive wear in a cylinder sleeves. Dave was 23 and is buried at Maidstone, Kent. Officer Cadet Elliston Dunn, Merchant Navy came to King’s from St Clair School. He lived at 163 Forbury Road, and was in the top 3rd form in 1936. He left early in 1938 and worked at Scott Engineering. He chose the sea and went off to train as a ship’s officer. Sadly he became our first loss when his ship the SS Tymeric was torpedoed in the North Atlantic in heavy seas on 3rd November 1940. He was just 19 and has no grave. His name is on Tower Hill Memorial, London and on a bronze plaque here in the School vestibule along with a ship’s bell Star of Britain. 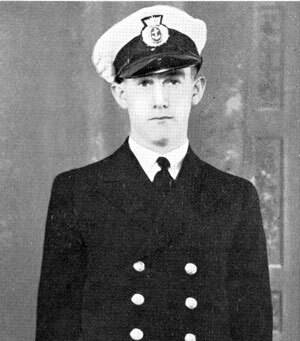 Ordinary Seaman Reg Dyer volunteered for the Navy at 17 and was our youngest to die at 18 1)2. Reg also came from St Clair School in 1938. He lived at 120 Forbury Road. He too was in the top forms—a bright, breezy, red head. Some would say brash. 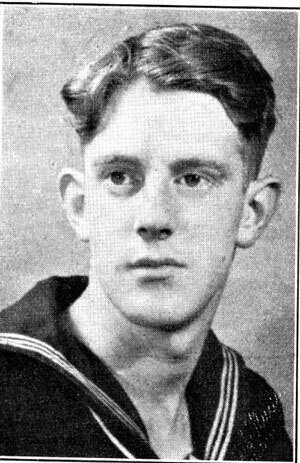 Early in 1944 he came back to visit King’s in his sailor’s uniform, full of enthusiasm for the Navy and praise for his training. He was serving on the destroyer HMS I sis off the Normandy beaches, just 6 weeks after D Day. On the night of 20th July 1944, she was sunk by torpedo or mine—no one knows—just bodies and flotsam found next day. No grave but the sea. Named in the NZ Naval Memorial, Devonport, Auckland. 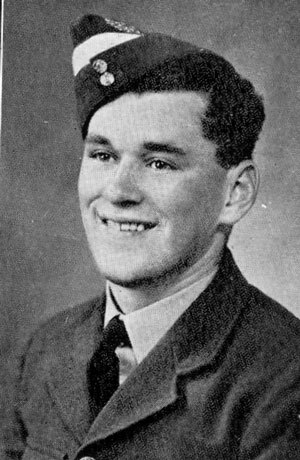 Sergeant Ray Graham Air Gunner in 218 Squadron RAF Bomber Command. Ray was a very quiet, reserved boy with dark curly hair. He lived in Caversham and came to King’s in 1936 after 1 year at OBHS. He left at the end of 1936, to join the Post and Telegraph. He was killed, along with his Canadian pilot and 5 other crew, on his first operation on 10th September 1942. 429 bombers attacked Dusseldorf—38 were lost. Stirling BF351/C was shot down over Holland at 11.40 pm, by a night fighter, crashing at St Philipsland. All 7 are buried at Bergen-op-Zoom (north of Antwerp). Ray was 21. 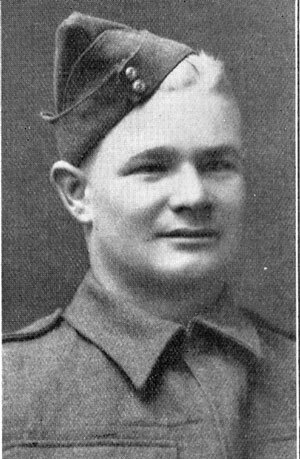 2/Lt Jim Hodgson 1st Otago Regiment. Jim also came to King’s from Macandrew Road School in 1936. He remained here until he gained his U.E. in 1941. He was outstanding at sports and in leadership—lst XV 1937—40, 1st XI Cricket 1938—40. A Coy Sergeant Major—Prefect. 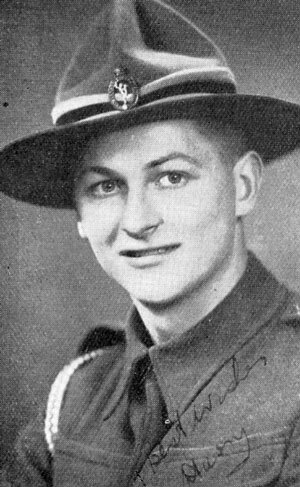 Jim was mobilised and commissioned in 1942 following the Japanese threat to NZ. 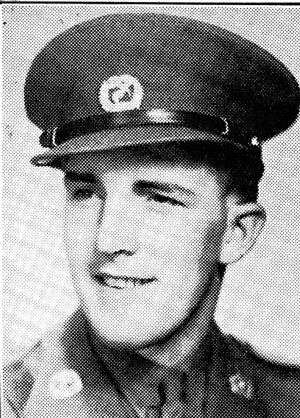 While in camp at Waiwera south of Balclutha he was killed in an accident, on 3rd January 1944, crushed by an army truck against the side of a bridge. He was 20, and is buried in Andersons Bay Cemetery. There is a stained glass window in his memory in St Peter’s Church over in Hillside Road, alongside another window for his brother. P1 O William Henry Hodgson, DFC, Battle of Britain, Hurricane ace in 85 Squadron. Killed while a passenger in a Havoc in March 1941 also aged 20. Sergeant Pilot Ron Keller Spitfire pilot in 232 Squadron RAF in North Africa. Ron joined us in 1937 after a year at New Plymouth B.H.S. He lived in Andersons Bay. At King’s he was in the top forms. In 1939 in the 6th form he was in the 1st Soccer XI, a CSM in the cadets and a prefect 1939—40. In 1940 he won the cross country race. His brother was killed in November 1939 flying Hudsons in 220 Squadron RAF coastal command. Ron went on to the University in 1941. In 1943 he was flying in Tunisia with the Desert Air Force. Just one month before the German surrender in North Africa, on 11th April 1943 232 Squadron intercepted a stream of Junker 52 transports with fighter escorts, attempting to supply the cut-off Afrika Corps. 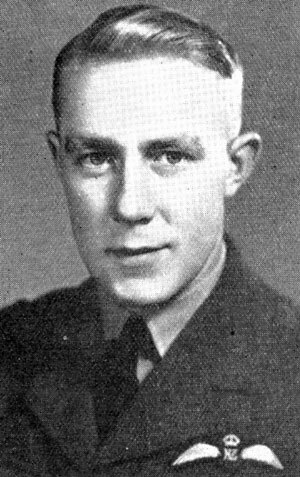 Ron shot down 2 Junkers, but was jumped by the escorts and shot down into the sea. Ron has no grave. His name is on the Malta Memorial. He was 20. 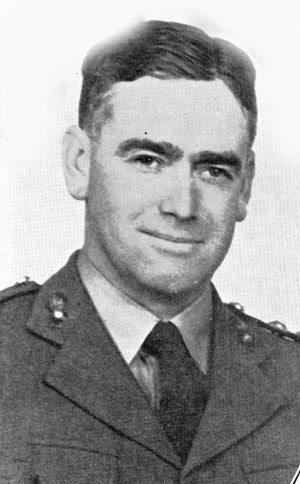 P/O Jim McConnell was a pilot in 75 NZ Squadron RAP Bomber Command. 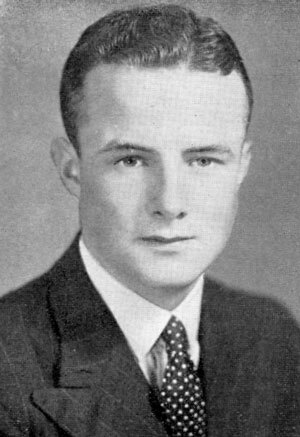 Jim came to King’s in 1936 after one year at OBHS. He lived in Queens Drive. In 1936 he was 3rd in the Senior Swimming Championships but his major sport was outside the school as a successful racing cyclist. He left at the end of 1937 to go into his father’s grocery business. Jim and his all NZ crew, were killed on 24th October 1942. This was his 7th operation and his commission had just come through. 71 bombers set out to bomb Milan, in Northern Italy. 7 were lost. His Wellington III BJ725 was shot down over France, near the Belgium border. It crashed near Valencicnnes—all 5 are buried there in 2 graves in the city cemetery. Jim was 21. Pvt. 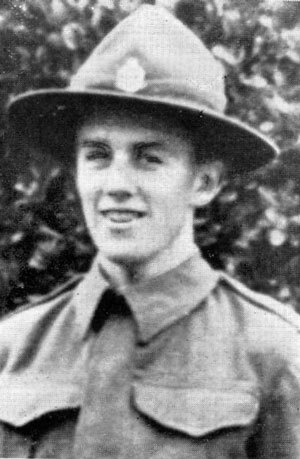 Bill Quigley NZ Army Medical Corps. Bill came from Macandrew Road School in 1936 and moved steadily through to University in 1940. He received several prizes and devoted himself as a School Librarian for the whole 4 years he was here. At Unversity he opted for the Medical Corps, but sadly the rigors of camp life in the army undermined his health. He died in hospital on 1st August 1942, aged 19. His grave is in the Andersons Bay Cemetery. Sub Lt (Air) Andy Raines was in the Fleet Air Arm (like so many young NZer’s—King’s had 9 Fleet Airmen). Andy was a very good looking boy, a keen surf life saver. He lived at 200 Forbury Road, and came to King’s in 1937 after 3 years at Southland Boys High School. Just 1 year here, in the top 5th Form he played in the 1st Rugby XV and left for Dalgety’s Stock and Station Agency. Andy was a Spitfire pilot in 884 F.A.A. Squadron, flying from the aircraft carrier HMS Victorious. The squadron had been disembarked at Lee-on-the Solent, near Portsmouth, On a flight in poor visibility, on 23rd September 1942 he flew into Butser Hill near Peterfield, just 15 km from his base. He is buried at Gosport in the Royal Naval Cemetery at Hasler Hospital. His age was 21. 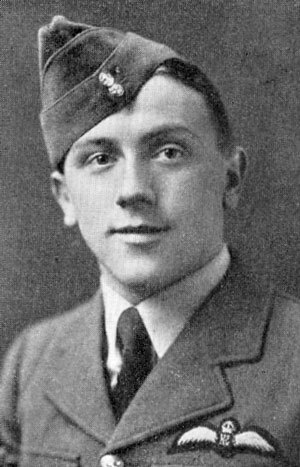 Jack also came to King’s in the 1937 intake. He lived in Bedford Street and came from St Clair School. He left school early in 1938 and went to work in Hallenstein Brothers warehouse. Jack was a motorbike despatch rider in Italy. He had the misfortune to be killed at Celli just 11 days before the Germans stopped fighting. This was 21st April 1945—he is buried in the Faenza War Cemetery. Jack was 22. 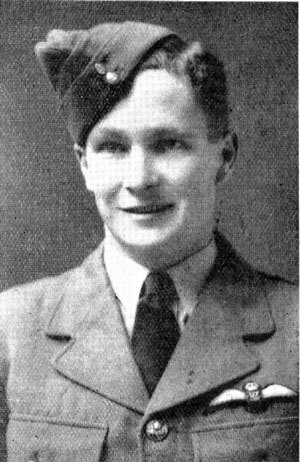 F/O John Webb was a pilot in RAF Coastal Command converting to Beaufighters in Scotland. 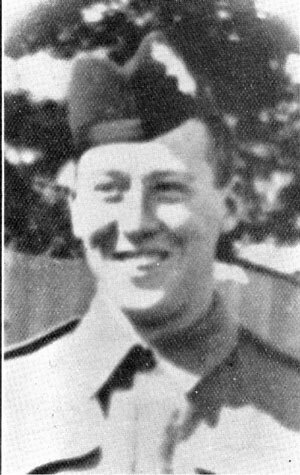 John came to King’s from Musselburgh School, in 1938. He was popular, full of energy and drive doing well in good classes from 1938 to 1942. He made the 1st RugbyXV in 1941, and was a prefect in 1942. In the school cadets he was a Flight Sergeant in the ATC and also keen in the wireless and camera clubs. The Air Force was for him. He volunteered and received his wings and his commission in Canada. On 27th July 1944 during ground strafing practice he concentrated too hard on the target and hit the sand dunes. Both John and his navigator were killed. They are buried at Haddington, East of Edinburgh. John was 20. P/O Harry Willis was a navigator in RAF Bomber Command. 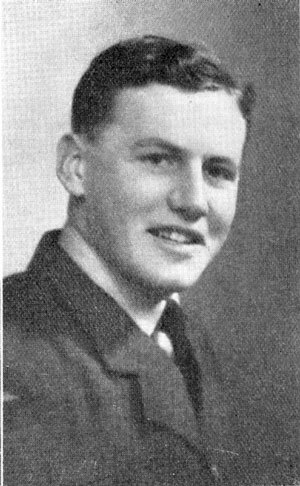 Harry had a year at Rotorua High School before coming to King’s in 1937. The family lived in Musselburgh Rise. He had nearly 2 years in the top forms here but left for Timaru Boys’ High School. From there he joined the Bank of NZ. Harry was mobilised when the Japanese entered the war in December 1941. Like a number of us he was caught in the Army, but hoping to transfer to the Air Force. He became an army wireless operator—which made his transfer easier in August 1942. He went to Canada and trained as a navigator in 1943. On 4th January 1944 he was at 11 Operations Training Unit at RAF, Westcott, in Bucks. Wellington X LN661, took off at 11.10 pm on an exercise over the North Sea. It failed to return—lost without trace. All 7 crew are named on the RAF Memorial at Runnymeade. Harry was 20. Major Win Wood Staff 6th Field Artillery and 7th Anti-Tank Regiment in North Africa. Windsor Norman Wood was one of the most colourful masters ever, at King’s (his favourite expletive was: “10000 buckets of blood, boy”). He had taught at OBHS but in 1936 he opted for King’s. Win was educated at Hamilton BHS, Christchurch BHS, Canterbury University College MA, Otago University DipEd. He loved sport: Junior Rugby Rep in Christchurch in 1927, cricket, Otago Ski Club, St Clair Tennis Club, St Clair Surf Life Saving Club. He loved the sea and surf. Indeed he is renowned for swimming out to White Island with a few of the King’s boys (a wag at school put a notice on his little battered van—”fresh fish”).